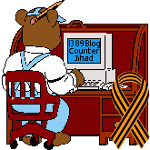 ACLU — 1389 Blog - Counterjihad! Privacy: Vote with your wallet AND with your feet! Send ACLU a Christmas Card! Could you say, “Amen!” to this? !